The Tampa Gun Show will be held at the Florida State Fairgrounds on Jun 1st - 2nd, 2019 in Tampa, FL. This gun show is promoted by Florida Gun Shows. The Tampa Gun Show is a popular Arms show for all Gun Enthusiasts, Arms Collectors and hunters. 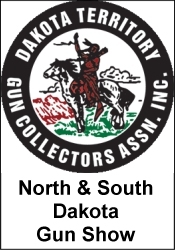 There is a huge selection of guns, accessories and even some harder to find items that you may be looking for. *** Please verify the show times and dates before attending the "Tampa Gun Show", as they are subject to change.